Views from the loch. : Of Brown Trout and curios! Photo 01 - A swell day looking towards Rodono! Anyone looking over St Mary’s loch in contemplative mood must surely wonder what lurks below the surface! 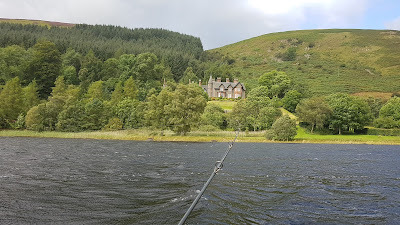 Over the years we have slowly uncovered just what the loch holds for us anglers and the many curious onlookers. Look at the clubs gallery over on the main site and you will see a feast of heavy fish from over the years! The recent run of heavy Trout is nothing new heavy, specimens have appeared over the years culminating in the famous Trout called Matilda which was first caught by Les Henderson at 6lbs 10oz and appeared in all the papers and Border TV. What was special about her was her ability to pack on weight at a great rate! She was first caught in October 2008 by Les and numerous captures over the following year saw her weight rocket up to 8lbs 4oz at her last recorded capture. In between she had been caught three times by me a further time by Les and two captures by other anglers. The last recorded weight of 8lbs 4oz fell to Ian Lambert from Ayrshire (he beat me by 2oz!) and after this only vague reports of her capture were heard until she disappeared. 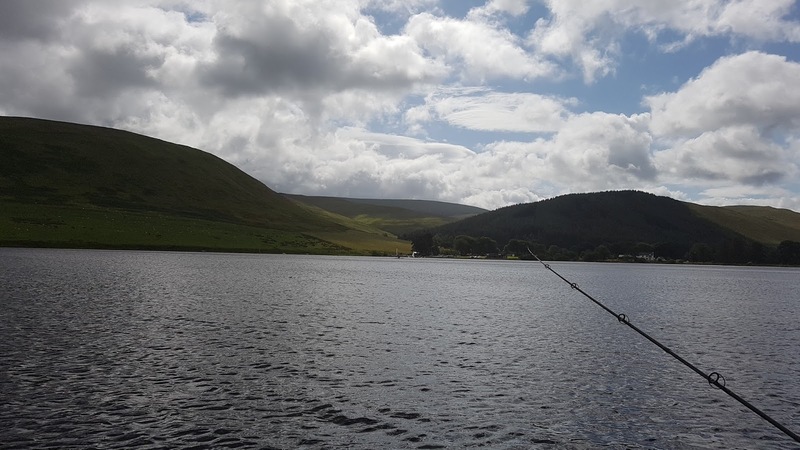 Her disappearance was probably down to someone killing her for the pot which was a crying shame as she was the second heaviest Brown Trout caught on St Mary's loch according to reliable records but that's how it goes, the good news is that the recent ones were all returned! Heavy Trout are ever present in the lochs and if one is not caught in a season it is simply because anglers had been unable to tempt one. More general items found have been numerous artillery shell cases often around the Bowerhope area which was apparently used as a firing range around WW2. The story goes that unwanted armaments were rowed out to the middle of the loch opposite Bowerhope and the cache tipped into the deeper part of the loch. So if you see a huge water spout when fishing your anchor has probably pulled the pin out of a discarded grenade! The old Model T Ford which sunk on the ice in front of Rodono brings divers every year to try and find a memento but as far as I am aware nothing has been found! Bottles have obviously been thrown into the loch for hundreds of years as people enjoyed the tranquility of the placeand we have a nice collection in the boathouse dating back to the 1880s. Bottle divers have taken many examples over the years. An old tractor was apparently driven/pushed on to the frozen loch in the 1930s which sunk without trace never having been seen since. We have retrieved ladders probably from sailing boats, fishing brollies chairs rods complete with terminal tackle, old cast iron mill wheels and general rubbish. The lochs undoubtedly hold many curiosities many of which are as yet unknown and maybe some that are best left unknown! Photo 02 - just before the downpour! I mentioned last week that Davy Forsyth and mate Rab were going to start removing the moss from the boathouse roof which has really become thick over the last few years. Acting like a sponge it puts an unwanted weight on the roof of the boathouse. They are coming at 08.30 on Saturday and anyone free to lend a hand will be more than welcome. The so called summer season is coming to an end looking back it's not been a great one by any means. I was out with Elliot Fraser trolling on the boat yesterday and it was only by the occasional glance at my phone that I was reminded it was August and not November! With near gale force winds, huge swell, white horses, torrential showers and dropping temperatures when the sun disappeared I was convinced it was winter! In their eternal optimism many are saying an Indian summer is coming, pray to your god that they are correct!